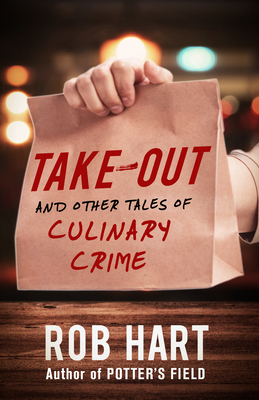 Rob Hart has firmly established himself as one of the best crime writers of his generation with his acclaimed Ash McKenna series, and in TAKE-OUT Hart has collected 16 stories of culinary crime and noir that will have you savoring every deadly bite. In the title story, a gambler falls into debt with the enigmatic owner of a Chinatown gambling parlor, and must run odd--and sometimes dangerous--deliveries to clear his ledger. In "How to Make the Perfect New York Bagel," the owner of one of New York City's last old-school bagel shops has to defend his storefront--in the past, from the mob, and in the present, from a bank. In "Creampuff," a bakery with the hottest pastry in town has to hire a bouncer to control the unruly line, with tragic results. In these stories and more, some never before published, Rob Hart explores the enticing and dangerous intersection where food and hospitality cross paths with crime and noir. Some stories are funny. Some of are dark. But each one will leaving you wanting another bite. Rob Hart is the author of five acclaimed Ash McKenna novels: NEW YORKED, CITY OF ROSE, SOUTH VILLAGE, THE WOMAN FROM PRAGUE, and POTTER'S FIELD. His short stories have appeared in publications like Shotgun Honey, Thuglit, Needle, Helix Literary Magazine, and Joyland. He has received both a Derringer Award nomination and made multiple appearances in Best American Mystery Stories. His non-fiction articles have been featured at LitReactor, Salon, The Daily Beast, The Good Men Project, Birth.Movies.Death., the Powell's bookstore blog, and Nailed. He lives in New York City. Find him online at @robwhart and www.robwhart.com.